This entry was posted on March 27, 2019 by chris elliott. Choosing a new floor is a big decision. You will want to make sure that you make the correct choice. Bamboo flooring is a great alternative to hardwood for many reasons. However, you still have a range of colours, grain patterns, styles and sizes, to choose from. Solid, engineered or strand woven bamboo? Parquet block or plank style bamboo? Tongue and groove or click fitting? Different surface finishes and textures. Colours, including different colour stains. First of all, you should have a look at all of the different types of bamboo flooring to see which colours and styles you prefer. You can do this easily online, but we also recommend that you visit one of our showrooms, where the floors will be on display. Searching online is a great starting point, but you will also want to see and feel the flooring in the comfort of your own home. 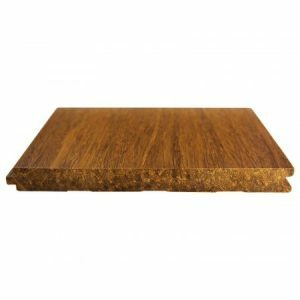 What is a bamboo flooring sample? A bamboo flooring sample is a small section of the plank or block of flooring. Order your free bamboo flooring samples now. 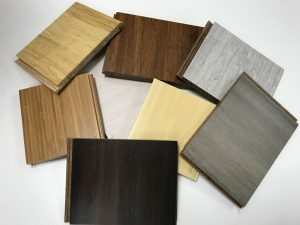 Why should I choose a bamboo flooring sample? Flooring samples are incredibly important when choosing any new floor. They give you the opportunity to look at the floor colour, texture and grain pattern against any décor or furniture in your home. Even if you know which colour you like, we would still recommend ordering samples. Sometimes the colours on a computer or phone screen can look slightly different to the actual colour. Our samples of bamboo flooring are always a good representation of the final floor. However, with any natural product, you should be aware that slight colour variations are inevitable throughout the floor. This is due to the natural variations in the colour and grain pattern of the bamboo.